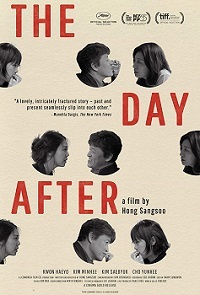 South Korean Master Hong Sangsoo's 21st feature as director, The Day After, is a mordantly comic tale of infidelity and mistaken identity. Book publisher Bongwan's (Kwon Haehyo) marriage is on the rocks after his wife (Cho Yunhee) discovers the affair he's been having with his assistant (Kim Saebyuk). Now that relationship is ending too and Bongwan's new assistant, the sharp and sensitive Areum (Kim Minhee), on her first day in the office, is left to navigate the fallout of all the turnover in Bongwan's life.